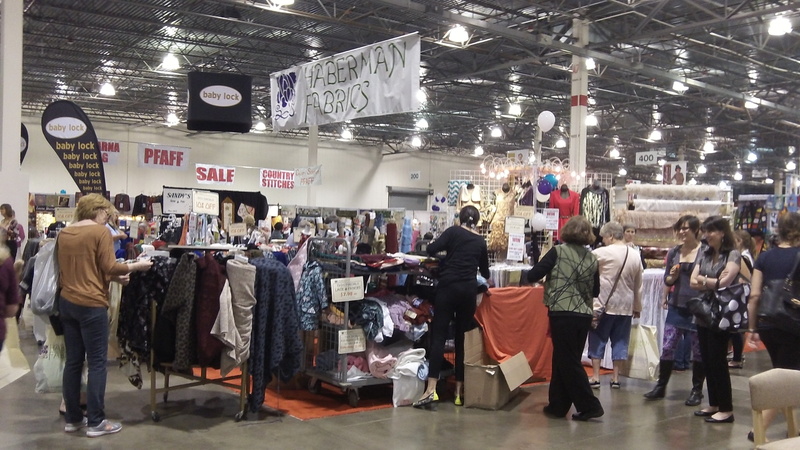 Last weekend was the American Sewing Expo in Novi, Michigan. It was their 20th year anniversary and my 5th year attending. How could I have not heard about the first 15 years? 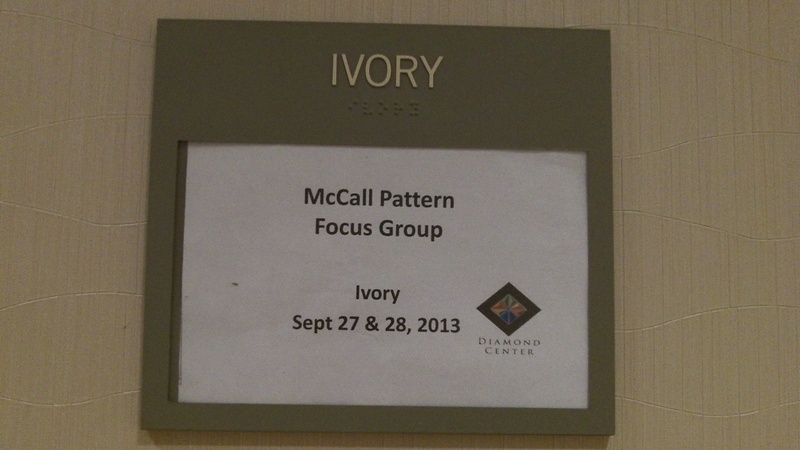 I always enjoy the classes and shopping, but this year I was part of a focus group with The McCall Pattern Company. 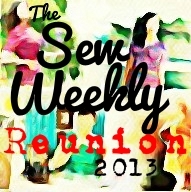 The company includes Vogue, Butterick, McCall’s, and Kwik Sew patterns and their new president is emphasizing connecting to their customer. Leading the group was the company’s Retail Promotions Manager, Kathleen Wiktor, who gave us some company background. Their New York office has only about 70 employees and many have been with the company for 20 years or more. There are just a few women who sew all the garments seen in the pattern books and, of course, everyone loves sewing and fashion. Our group had a range of age and sewing experience and Kathleen asked us about our pattern buying habits (yes, everyone waits for sales), what we like to sew (the lone spoiled brat who only sewed for herself was me), our complaints with patterns (sizing and fit) and of course, what we were looking for in patterns. Over the next year we should see some changes, with each division taking on a distinct brand image, Vogue may be for the young trendy sewer, Butterick more classic, McCalls having more beginning level and Kwik Sew, well what else, quick. The Vogue Patterns magazine is also being redesigned (a previous editor has been brought back and oops, someone was let go), we should see a difference in the December/January issue. Talking about sewing was a great way to spend the afternoon and Kathleen was genuinely interested in what we had to say. To top it off, she gave us $50 Amex gift cards and a tote bag with a few patterns and notions. Bonus! The next day I stopped by their booth and bought a pattern, just because she was so nice. I also had a chat with Randy Peterson, Vice President, Manufacturing. McCall’s prints the patterns of over 70 independent pattern companies at their facility in Manhattan, Kansas. Someday, in my dreams, I’ll design a pattern and have it printed. At least now I have the price list. More to come from the Expo.